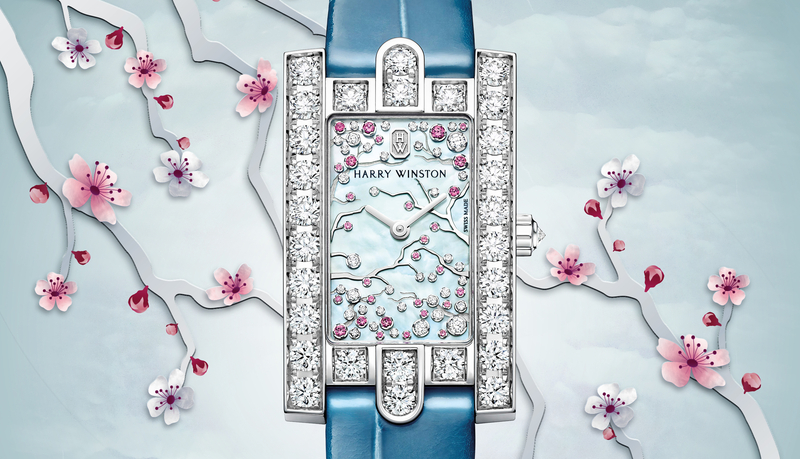 On the heels of Opus 14, Harry Winston has just announced another off-center timepiece called the Avenue Dual Time. 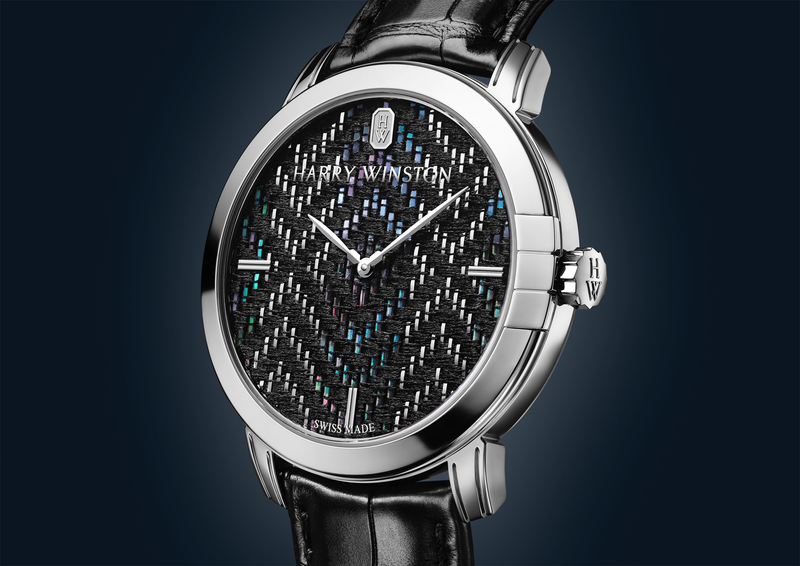 It features local time on the left, via a retrograde display – and home time on the right, via traditional hour and minute hands. 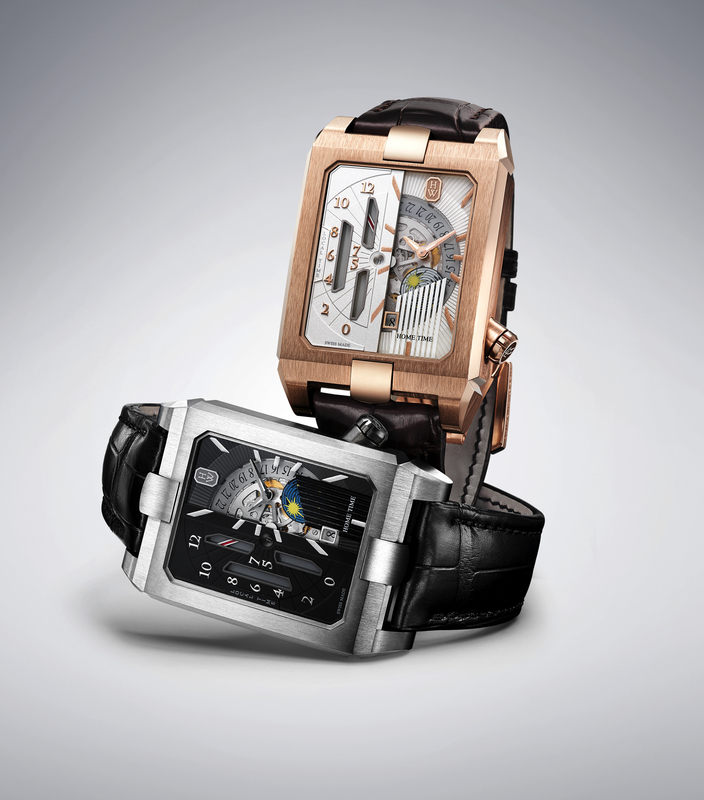 On the (right) are hour and minute hands that represent the home time, along with a square date aperture at 6 o’clock, and a day-night indicator just under the dial. Case dimensions are 53.8 mm x 35.8 mm x 10.7 mm. Curved caseback, sloped lugs, and crown set at an angle for a better fit. Sapphire crystals front and back. Water-resistance is 30 meters. Running at 4Hz, automatic caliber HW3502 has 281 components, 32 jewels, and an 18K white gold rotor. The bridges are decorated with a Côtes de Genève finish, circular graining, and chamfered/polished edges. 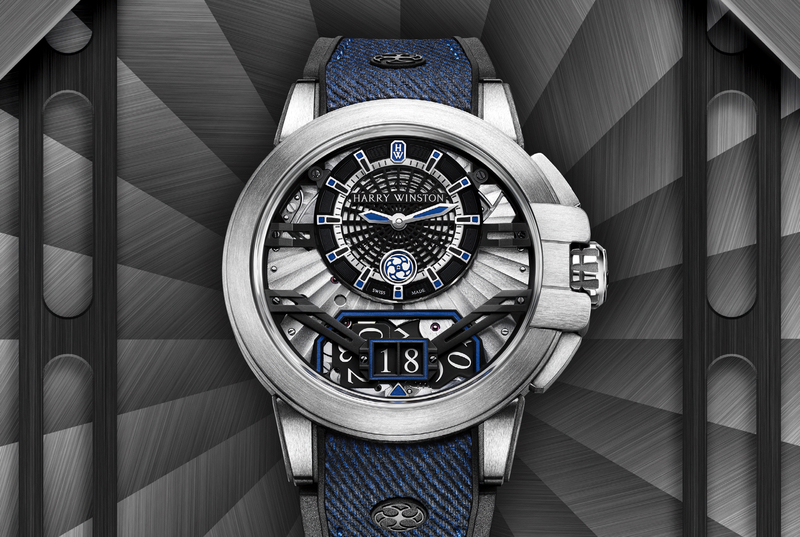 The Harry Winston Avenue Dual Time is paired with a matte black (or brown) alligator leather strap and Zalium (or Sedna gold buckle).